This curd soap is manufactured without using fillers, dyestuffs, fragrances, optical brighteners, and, above all, without any petrochemical complexing agents such as EDTA. It is thoroughly matured before being put on sale which increases its shelf life. The slightly brown colouration of curd soap when stored for several years is a sign of the purely natural quality of this product and, in no way, impairs its quality and washing performance. 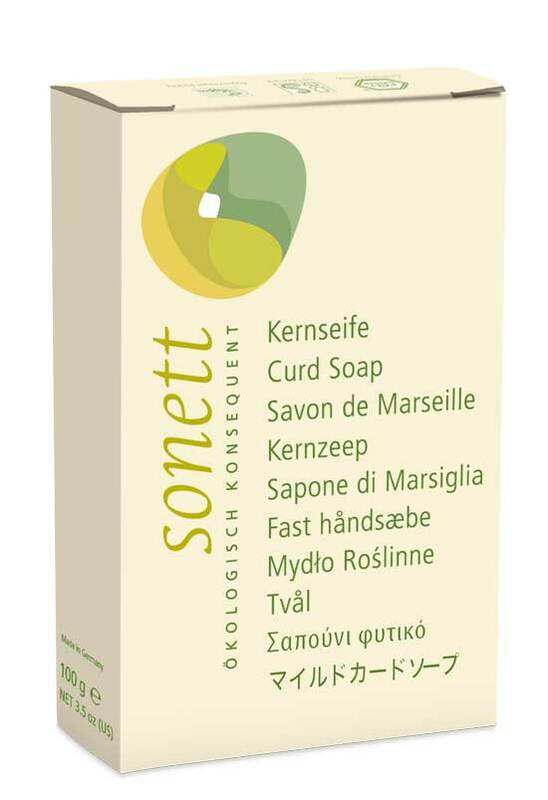 For household use and workshop areas as well as wherever durable, effectively cleansing hand soap without any additives is needed. Application: Purely vegetable, fragranc-free organic soap for washing hands, face and the entire body. Even when using the curd soap with cold and hard water it develops a high degree of cleaning effectiveness. The hardness of the soap impedes its becoming soggy despite possibly lying on a wet surface for a while. Wala Sage Dragees in box - 35 pcs.